I have a report that I rerun with new data every day. I need to publish it in Google, but part of the table is a formula and I do not want to have to recreate this formula in the body every day. 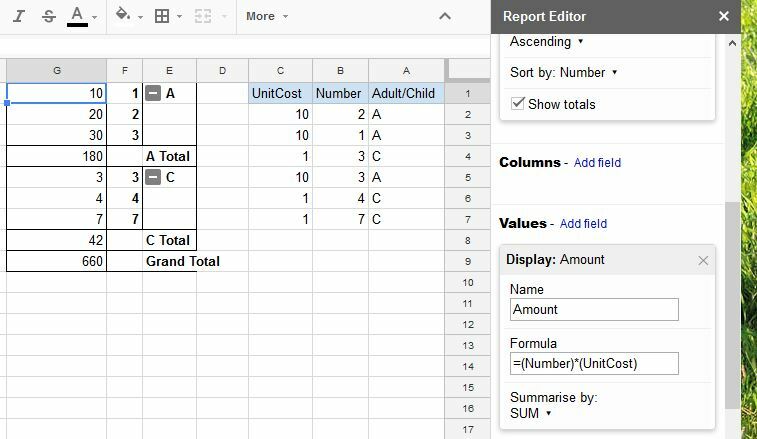 How do you create a formula that can be part of a Google Sheets pivot table? It is very simple not only because just for illustration but also because Calculated Fields are not the place for complex formulae. How do I make a Google Sheets pivot table with a custom formula per row? Can you create a pivot table in the same sheet as the data its referencing?